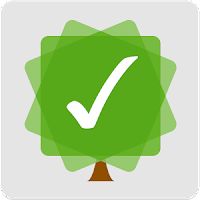 MyLifeOrganized (MLO) is the most flexible and powerful task management software for getting your to-dos finally done. MLO 2 for Android leads to a new level of productivity - you will be able to manage not only tasks, but projects, habits and even life goals on your smartphone and tablet. Optional contexts, stars, dates, priorities, completely customizable filters and views make MLO flexible enough to adapt to your own system for managing your tasks. Add even more power to your task management and use MLO Cloud service* to sync with the world-class Desktop version of MyLifeOrganized**. You can sync with multiple computers, share a single task list or collaborate with other people. Join the users who sync more than 35 million of their to-dos via the secure and robust MyLifeOrganized Cloud Sync Service! Alternatively, sync directly over your own private Wi-Fi. MLO Cloud is a low-cost, fee-based subscription service allowing you to sync your tasks wirelessly between different MyLifeOrganized platforms. 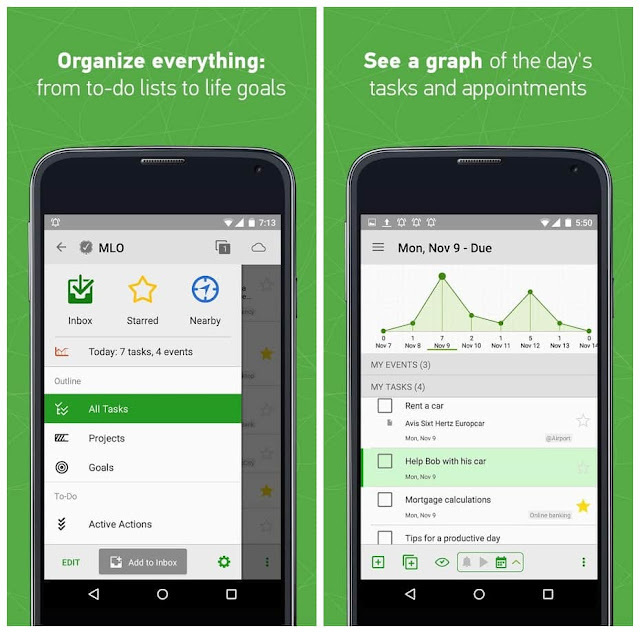 **MyLifeOrganized for Desktop task manager sold separately. Professional version 4.0 or higher is required.